I love sweets and so do my ajebutters and when it comes to caramel, we love loads of it. 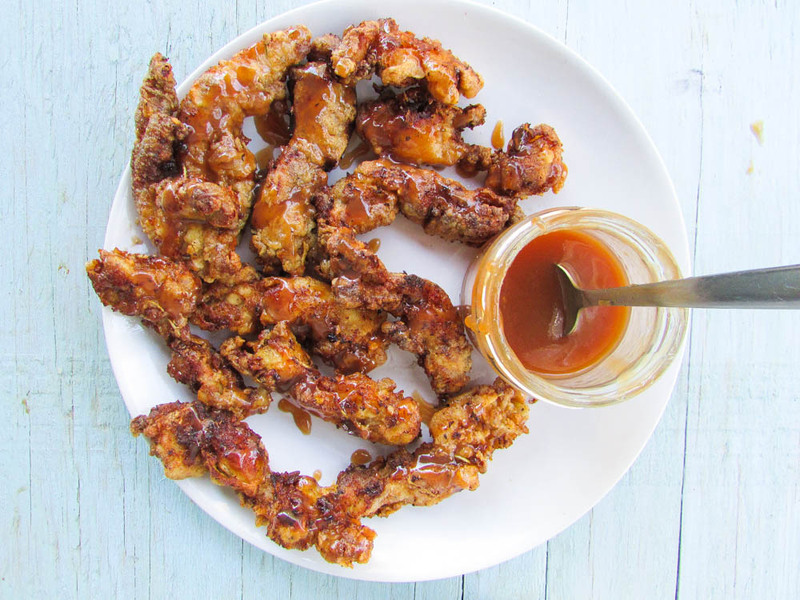 So imagine your chicken tenders and caramel sauce tossed together. Oh my goodness! Even as I write, I remember how it tasted. The saltiness and sweetness of the caramel mixed with the crunchiness of the chicken. Pack your bags and move straight into the kitchen. Well, thanks to Ajebutter1, she loves baking and she loves caramel so when she said “mommy how about a sweet and savory” I knew this was it! Of course if you cannot manage the caramel sauce, you may just have the chicken strips with any sauce of your choice. You may even toss it in some Ata dindin. Trust me, I have tried it and Eureka! 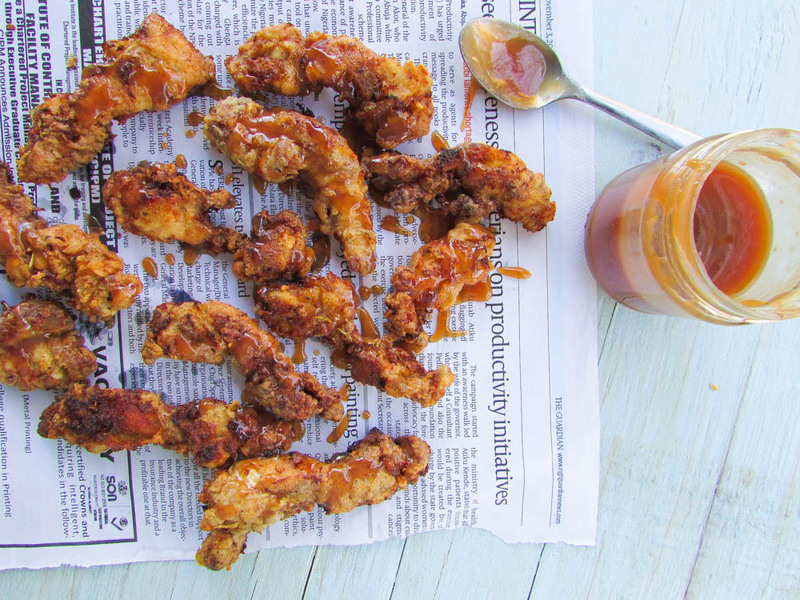 So, if you love chicken, and you love caramel; you will love this recipe. Okay, print it out and give it a go! combine water and the sugar in a sauce pan. bring to a boil. Once the water starts to boil, do not stir, but you could shake the pot a little bit to distribute the sugar. keep the water boiling until the mix turns golden brown. Remove the caramel from the heat, whisk in the butter. 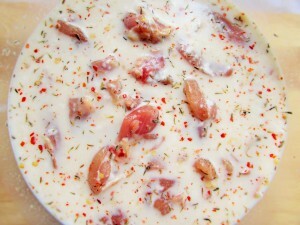 Once the butter has melted, carefully but quickly stir in the milk and salt; then set aside. Any left over caramel can be stored in a jar and for up to two weeks in the refrigerator. This entry was posted in Appetizers, chicken, chicken dishes, chicken stew, chicken suya, Lunch, main dishes, main meals, Protein, Side dishes, Sides, Small chops, Snack, snacks, Uncategorized and tagged buttermilk chicken fried recipe, buttermilk chicken recipe, Caramel chicken, caramel coated chicken, chicken, chicken nuggets, chicken nuggets recipe, chicken tenders, chicken tenders recipe, chicken tighs, chicken tighs recipe, chicken wings recipe, fried chicken recipe, Nigerian food blog, salty caramel chicken, sticky chicken. ← Noodle Stir Fry. Unleash Your Inner Chef. LOL @ pack you bags and move straight into the kitchen. ….. to sleep on the cooker or in the oven? LOL! Hi Nma. Thank you for your lovely recipes. Pls I dnt understand how to make the butter milk. Can you explain again? Thanks dear. Hi Nonso. Thank you for the lovely compliments. You can make butter milk with regular Vinegar or lemon juice and regular or lowfat milk. With a ratio of 1tbsp of vinegar to one cup of milk(Ratio is always 1tbsp:1cup). stir slightly and let it sit for about 5-10 minutes; then use.